Getting the right help with your home relocation is essential. Our professional home moving solutions will ensure customers are getting the right service at the right price. We have extensive professional experience in all types of domestic property relocations. We deal effectively with all aspects of the service from start to end. The removal itself can be adjusted as per individual requirements. We have the capacity and expertise to arrange and conduct all types of home relocations in the Greater London area, big or small. 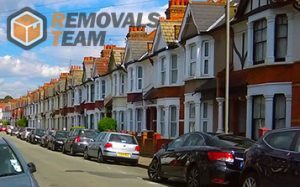 Whether relocating a small property like a flat or one bedroom, or a large 4 bedroom home we will carry out the move in the most efficient and affordable way. We also do partial domestic relocations when contents of only one or two rooms needs shifting. When customers are looking for good value for money home moving solution, they require a service which deals with all aspects of the relocation from start to end. This saves time, effort and resources and makes the whole process less of a hassle. We tick all the boxes and provide a fully comprehensive relocation service. We can do inventory, packing, labelling/listing the contents of boxes, crates etc. Like any other project, domestic relocations require adequate expertise, good understanding of procedure and efficient completion of all stages of the service. We have done our best to account for all these by ensuring we have the right people on the job. Removal technicians will ensure every item is packed and labelled properly, ready for transportation. Drivers will oversee correct loading/unloading order, also that all items are properly secured so there is no damage or loss of valuables during transit. Removals Team understands that people are looking for an affordable home moving service, which doesn’t cut back on quality or reliability. Because of this we quote each customer individually, supplying an accurate price estimation which reflects circumstances and meets allocated budget as much as possible. Our figures do not contain any hidden fees or unmentioned additional charges. We can be called out for job viewings and onsite quotations in all boroughs of Greater London. Domestic moving services can be booked seven days a week, including bank holidays. The British capital is perhaps one of the most multicultural places in the world. London has traditionally been a hub for people coming from all corners of the world. In the last few decades the flow of people has grown to include more and more countries. In result, now there are more than three hundred languages spoken in London today.